I’m so excited to be sharing a great company today with all of you – EverydayHappy. 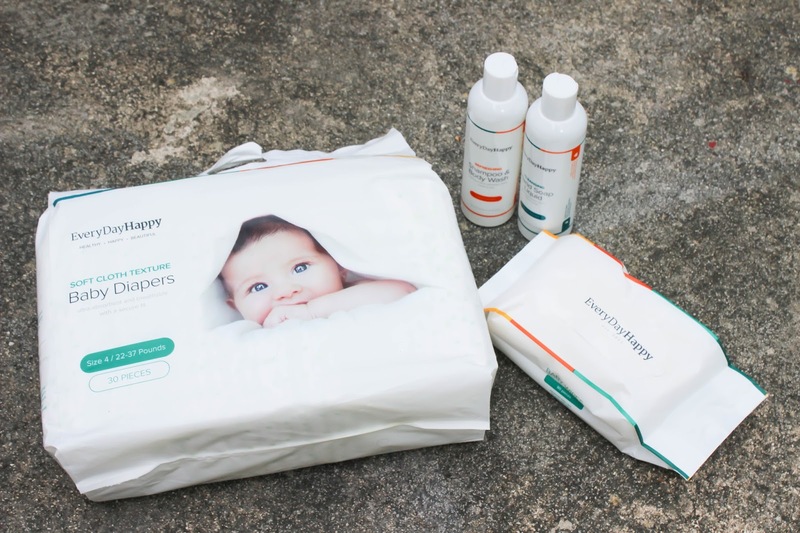 EverydayHappy was created in 2013 by a group of moms and dads with the goal of providing parents with a premium range of Eco-friendly, toxin-free baby and family care products who want to save parents time and money. 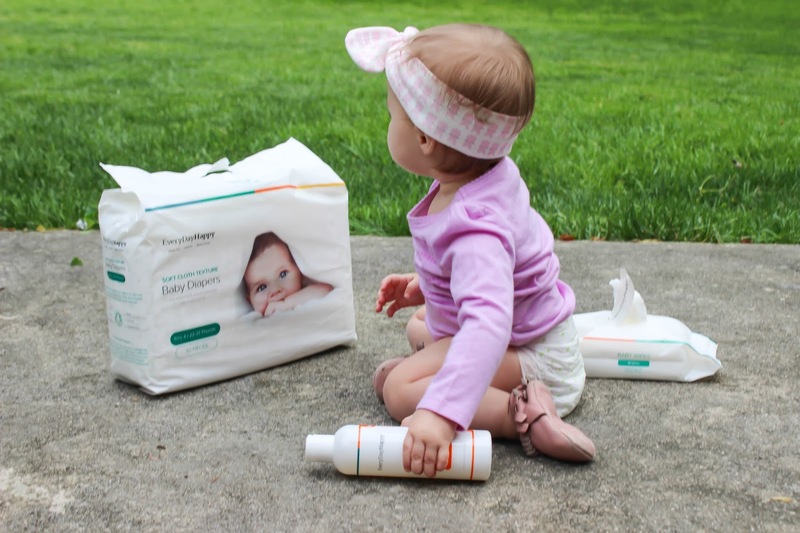 All of EverydayHappy’s products are soft, natural and free of harsh chemicals, which is what every parent wants for their baby. 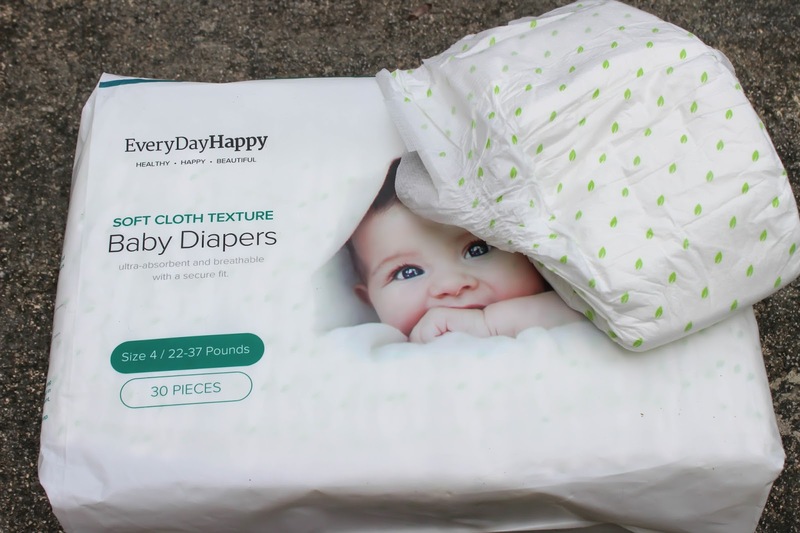 EverydayHappy sells their products individually online and also offer bundles of both their family care products and diapers and wipes that end up being up to 40% off. You can try a free trial when you sign up here. I was sent diapers, wipes, hair and body wash and hand soap to try and I can honestly save that I love all of these products. 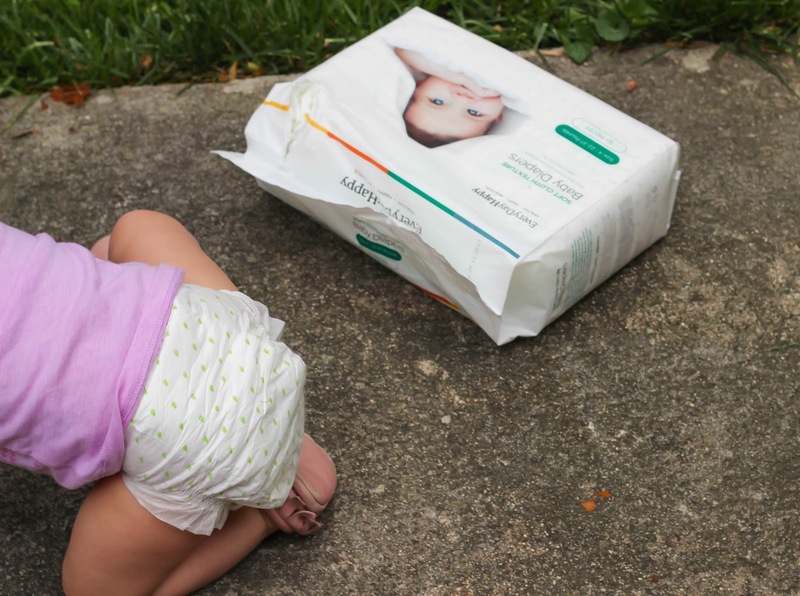 These diapers are super soft to touch and ultra-absorbent. Maddie Grace skin seems to remain dry while wearing these diapers, and hasn’t had any type of bad reactions to them. They fit MG well and stay on despite how crazy active she is. The wipes are purposefully thin, as that means less material in the trash, but still durable and get the job done with just one wipe. They have no smell, and I like that the container has a decent amount of wipes but isn’t too big so they are easy to throw in my diaper bag. The shampoo and body wash works well to clean Maddie Grace but not dry her out. I love that it is tear-free and has a very light, but nice, scent that leaves Maddie Grace smelling clean and fresh. The hand soap is great as well. It contains a good amount of soap which is important since we go through it so quickly. It contains aloe and mint extract to moisturize while also energizing and refreshing, and leaves my hands feeling nice and soft. 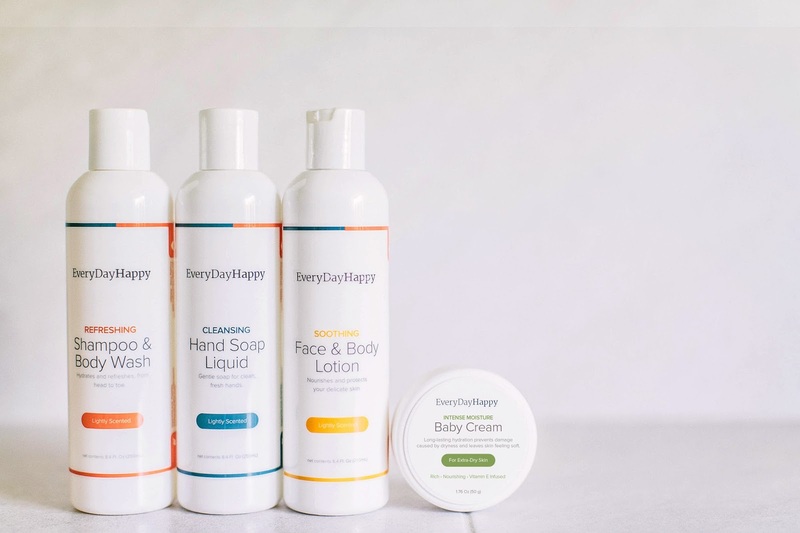 EverydayHappy has several products outside of these like baby cream, laundry detergent and vitamins, and many more products on the way. And now I’ve teamed up with EverydayHappy to offer one of you lovely readers the chance to try EverydayHappy for yourself! We are giving away diapers, wipes, shampoo and body wash and face and body lotion. US only 18+ to win – as always make sure you follow me on Facebook so you don’t miss the winner’s announcement! And follow me on Instagram to learn how to gain an extra entry! I was compensated for this post in the form of free products. Regardless all thoughts and opinions are my own and I only recommend products that I truly love. I'd love to try the diapers! We currently use honest but I'm always open to new healthy and safe options for my little baby bum! 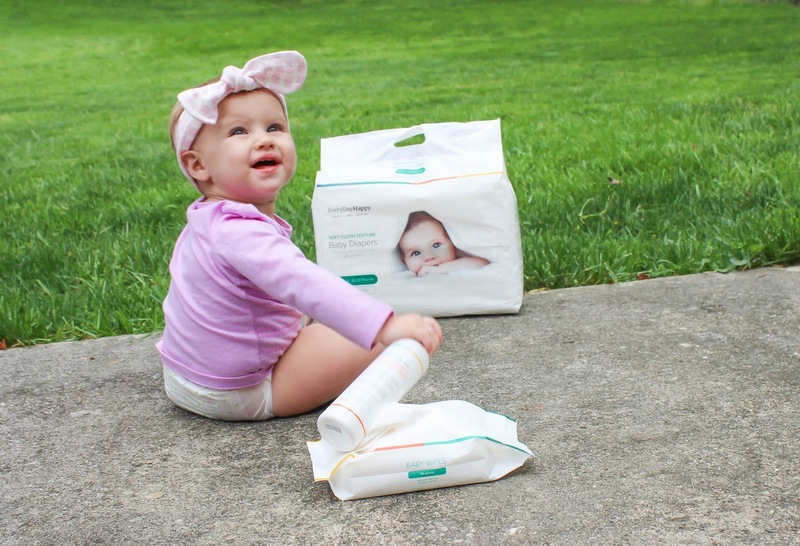 I have never heard of this company.. those diapers looks great! Thanks for sharing! I've never heard of this company, but they sound great! I don't even have kids and I'd totally use the shampoo and body wash. I love this company and I would love to try anything and pass it down to a mom that might need it. Great review! We're potty training at the moment so I really really hope this box is our last! Id love to try out the shampoo and body wash, I have been wanting to try more natural products on my little girl! I would love to try the diapers and moisturizer. I would love to try some of their organic line stuff that is coming out soon. I would love to try their diapers! I would love to try their soaps/shampoo! I'd love to try the Baby Laundry Detergent and Liquid Hand Soap. I would like to try the liquid hand soap and the 2 in 1 shampoo and body wash. I would love to try their diapers and the baby shampoo and body wash . I would love to try their wipes and Baby Laundry Detergent.